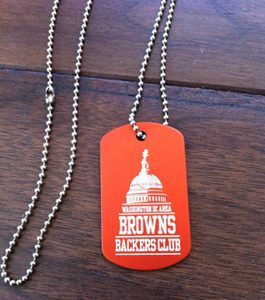 Please support your Washington DC Area Browns Backers Club by joining or renewing your club membership! Annual dues for the 2018 season remain only $20/per person or family! Prepare ahead of time by downloading and filling out your 2018 WDCABBC membership form. Then bring it with you on game day to any of our three viewing sites. 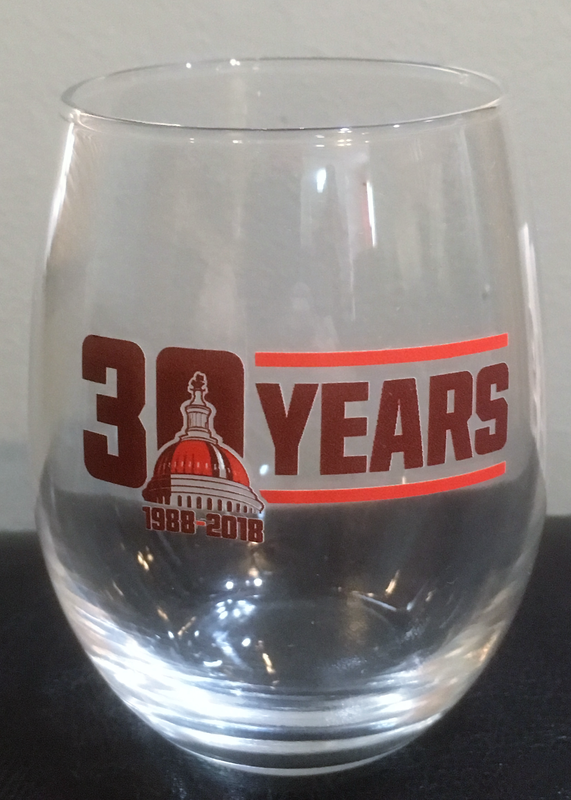 Each Browns Backer member receives a dog tag with their own personal number, along with this year’s premium gift—a stemless wine glass featuring our new 30th Anniversary logo (while supplies last!). This year, our members now have the option to pay their dues via PayPal or Venmo! If you’re using PayPal, be sure to send as a friend, to the address WDCABBC@gmail. For Venmo, our first name is Washington DC Area and our last name is Browns Backers. Or you can still pay your dues at one of our three viewing sites with cash or check. So be sure to signup or renew your Washington DC Area Browns Backers Club membership as soon as the season begins! Eligibility for weekly trivia contests at halftime at all viewing locations for various prizes. Our own website for club news and updates. The website is viewable by anyone, yes, but we would not have it if not for this club. Our profits are donated to charity at the end of each season. So in addition to watching the football games with your fellow Browns Backers, the best fans in the NFL, you will also be contributing to a good cause!